These days brides are much more conscientious. 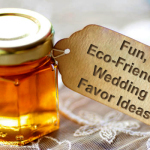 Not only do brides want to lower the cost of their wedding, but they also want to be more eco-friendly. 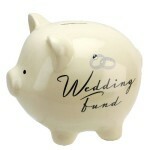 Wedding flowers are one of those expenses that most brides know they need to cut, but can’t bring themselves to do so. After all, the flowers add a touch of elegance and make your wedding romantic. Cutting them would save you plenty and of course reduce your footprint on the environment, but it also would make your wedding bland, right? Brides can still save money and keep their wedding “green” by making their own bouquet out of paper. 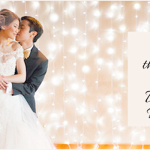 It is a gorgeous way to add a personalized touch to your wedding and it is one of those things that are so unique, others will appreciate it. 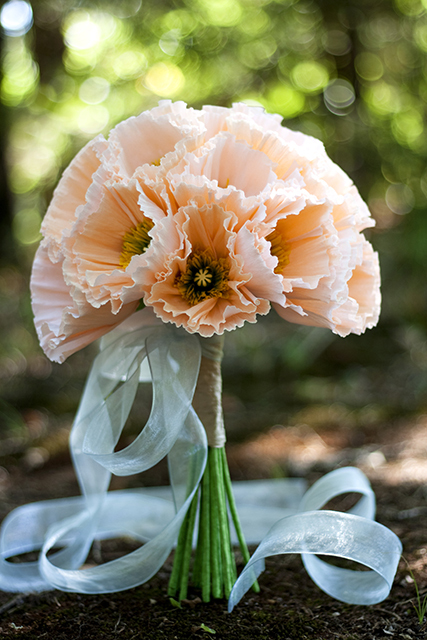 Paper flowers may sound tacky and cheap, but, you would be surprised how elegant and life-like these flowers will look. While it does take a little extra time, making these flowers adds your own personality to the ceremony – and paper flowers are much easier to preserve. That means after the wedding you can preserve your wedding bouquet without having to worry about the flowers shriveling or drying and cracking. 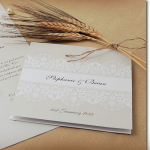 For a more realistic look you can use rose petal print-outs. 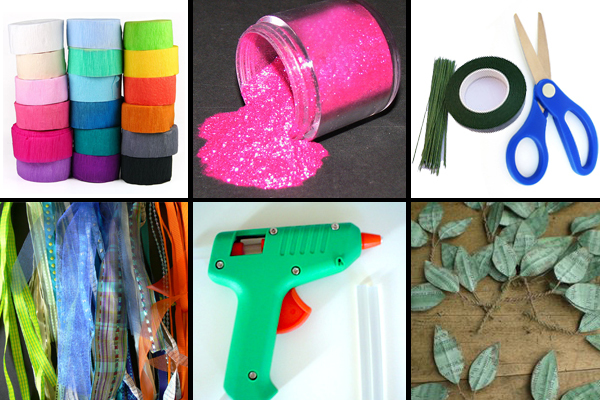 But in this tutorial we are using crepe paper. To help make it easier, we have create a step-by-step tutorial so that you can create your perfect, paper floral bouquet. Cut your floral wire to 8-inch pieces and set aside. Cut several tear drops out of your coloured crepe paper. 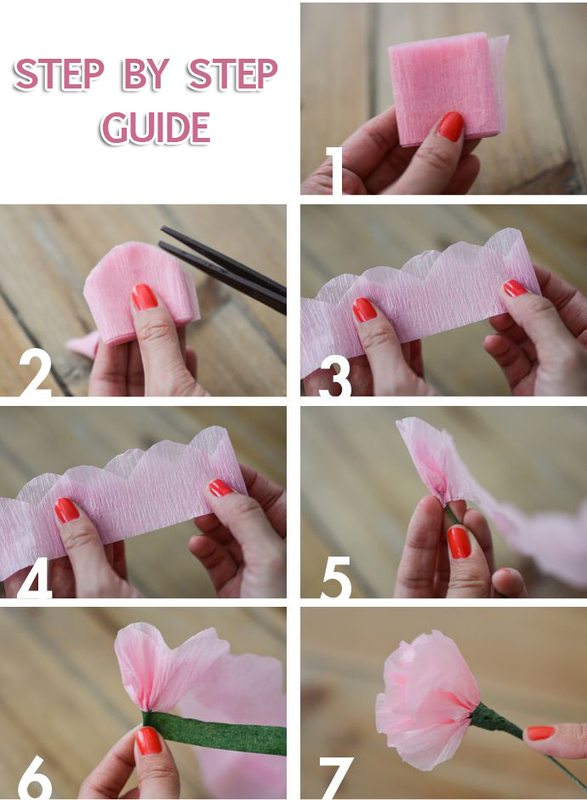 Make the tear drops different sizes, but close enough to one another so that you do not have a large chunk of petals that are too big or too small. Cut out a square of crepe paper, then fold it in half so it looks like a triangle. Fold the triangle around the tip of a piece of floral wire. Secure the petal in place with double-sided tape. Start at the base of the triangle on the wire and wrap it with floral tape, spiraling the tape all the way down to the bottom. Floral tape sticks to itself, so it should not slip off. 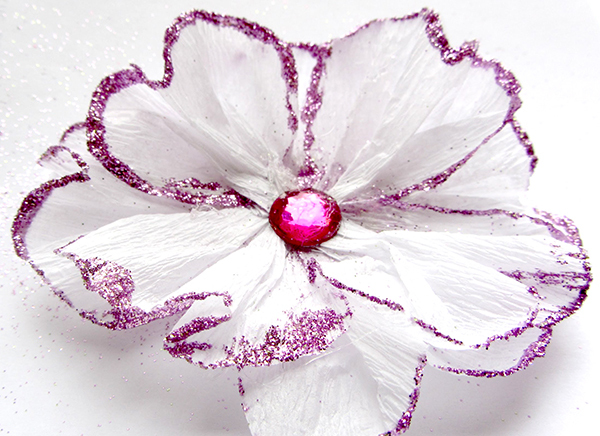 Add crepe paper petals (the tear drops you cut earlier) and add them one at at time around the bud you just created. Use a strip of floral tape to secure each one as you add it. Continue to add petals until you reach the desired fullness you want. For a realistic looking bouquet, you may want to make a few full bloom roses and a few tight buds using different shades of crepe paper. For example, if you are doing pink flowers, use very light pink, bright pink and even a hot pink all together to give the appearance of a real pink rose. Combine all of the wired flowers together into a bouquet shape. Then, place the wired leaves around the bottom. Cover the entire set of stems in one large piece of floral tape. Start at the base of the flowers and leaves and cover the stems in a downward spiral until you reach the end. If you have odd ends, trim those with wire cutters or fold them in together and cover with floral tape so that they are not poking you as you hold it. Wrap the floral-tape covered stems with ribbon working from the base of the bouquet and down in a spiral motion – and glue the ribbon into place so that it holds. These are optional, but can add a little extra flare to your bouquet. Spray the entire bouquet with glitter paint then hang upside to dry. Add small jewels to the base or even on a few petals for fun accents. Add a string of pearls that you wind throughout the bouquet for a draped, romantic look. Just How Much Will It Save You? Crepe paper bouquets are very cost-effective – and you can make them weeks in advance. 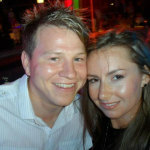 But, to help you see just how cost-effective it is, we will break down the price for you. And remember, you can make your own bridesmaids bouquets using the same method to save even more. 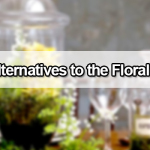 If you have four bridesmaids and yourself, you could spend 300 to 510 on bouquets if you go with real flowers or you could just spend 50 on paper boquets. Preserving a paper bouquet is similar to real flowers, except there is no sense of urgency. You don’t have to worry about a bridesmaid handling the task for you while you’re on your honeymoon and you can easily do it when you get home. 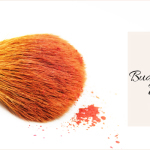 You will need a clear coat spray that dries clear – avoid any sprays that can dry yellow. Use an acrylic-based spray that works on paper and is used to preserve scrapbooking projects. This will harden and protect the paper flowers. Spray a light coat over the bouquet and allow it to dry. Then, do another light coat. You may have to do as many as 8 coats to get the desired consistency, but it is important to take your time. Because crepe paper is delicate, you do not want to over-saturate the paper. Once you have finished the final coat and it has hardened, place the bouquet in a shadow box. Making your own crepe paper flowers is the best way to save money , but also add some unique flares to your wedding that ordinary flowers just cannot compare to. 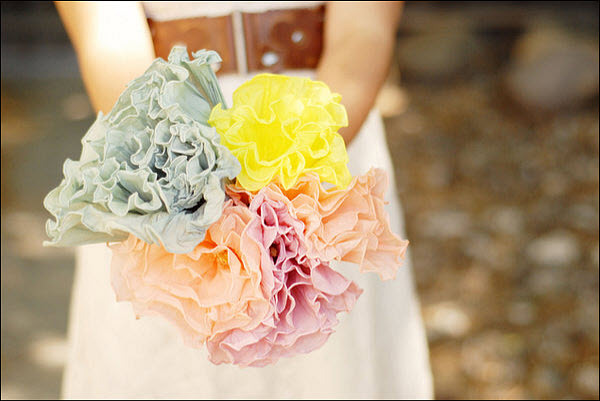 So, if you are tight on cash or just want to skip the traditional flowers, give these crepe paper bouquets a try.